Purpose exists to help connect, inspire and enable the people who believe that a better type of business is possible. 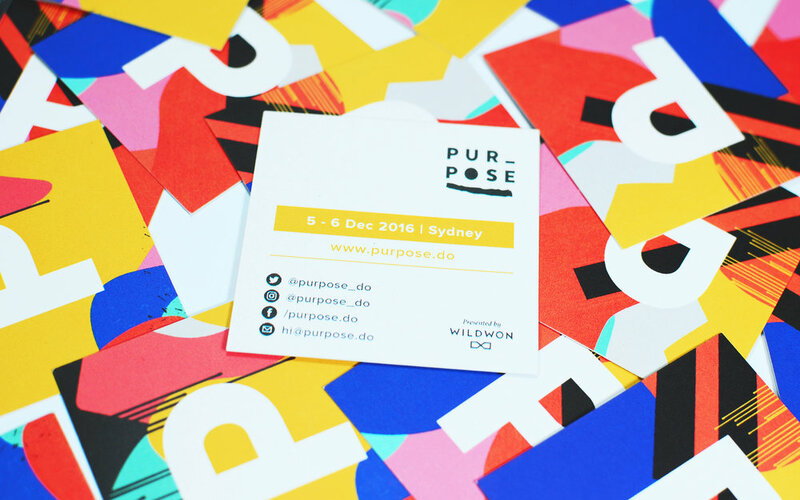 Purpose is a highly curated, two-day conference bringing the doers, influencers, thought leaders and pioneers of the purpose-driven business movement together. Purpose attracts B Corps and social enterprises, as well as mainstream business minds. At Purpose, participants interact and learn in a meaningful and lasting way which helps them to succeed at driving forward a values-driven approach to business. Purpose was created by Wildwon because we noticed more and more companies who, like us, were working to drive a social or environmental mission into the very core of their business model. In 2015, we realised the moment had come to create a place for this community to come together. In its first year, Purpose was a runaway success and is now a growing community and set of offerings catering to those that are re-writing 21st century business and who know that the future belongs to the companies that solve problems, not those that cause them. Since day one, Purpose has been supported by our partners and community who are the true champions that make Purpose possible. From apocalyptic picnics and mindful meditations to coffee carts and recharge stations, Purpose was filled with activations and experiences for attendees to have multiple moments of surprise and delight. In 2016, we used Frank Green reusable coffee cups and water bottles to divert single use coffee cups and plastic water bottles from landfill. We also had food waste bins as well as recycling (with biodegradable bags). As for staging, much of 2015’s was cut down and repurposed and used for 2016 staging. In 2016 the themes of Purpose’s program ranged from ‘Cathedral Thinking’ and 1000 year timelines to ‘The Campaigning Company’ and the purpose of the corporation. The program was stacked with rockstars of the purpose-driven business world and edge thinkers whose ideas are moving the world forward. In 2016, this included mindful tech thinker Rohan Gunatillake, Thankyou’s Daniel Flynn, Peta Granger from LUSH, Jirra Lulla, Benjamin Young founder of Frank Green. You can join the Purpose community by visiting Purpose.do and signing up for updates on our 2018 conference.